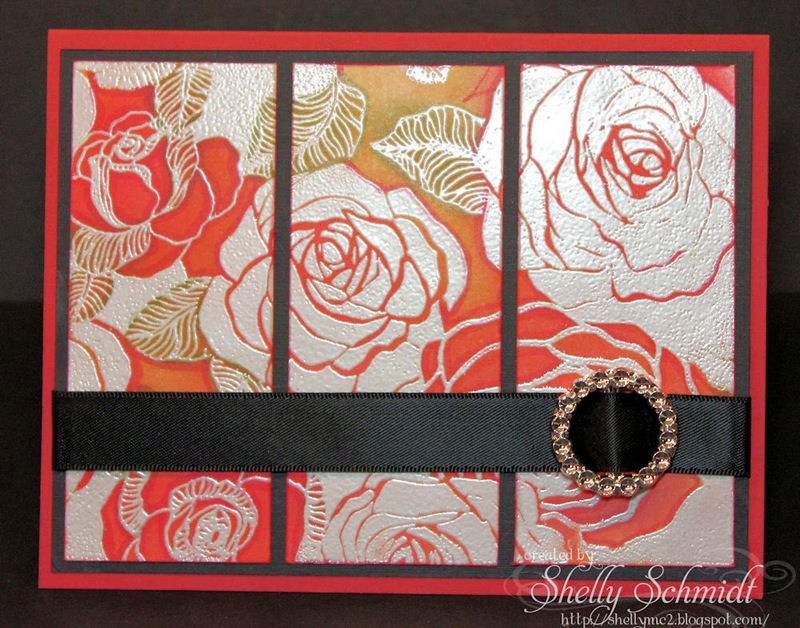 There is nothing better for me than learning new ways to use my supplies to make cards! Today, some of the Design Team members at Technique Junkies are joining T.J owner Pat Huntoon in a Blog Hop to present to you some of the techniques on a new CD-Bodacious Backgrounds. I made two cards for the hop- both use supplies I already have on hand in my 'stash'. This first card is called the Outlined Resist technique. Next, I made a bright and cheery card using the Irresistible Rainbow technique.A perfect Spring card...well, if Spring ever decided to arrive here to stay! Again, I used stamps from Technique Junkies/formerly known as Stamp Camp.The Blue and Yellow cardstocks I used are from Paper Temptress- there is a little bit of sparkle in it, and I used a stick pin, ribbon and charms from my stash. Shelly Schmidt YOU ARE HERE! This new Bodacious Background Stamp CD contains 30 ways to use your background stamps in fun and creative ways! Learn how to color, stamp and transform your background stamped images. The CD contains 20 brand new tutorials plus 10 techniques from the TJ archives. All 30 tutorials are in step-by-step pdf format - compatible for Macs and PCs alike. All the tutorials are printable to 8-1/2” x 11” paper. 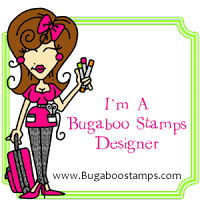 This is the link for the table of contents for this lovely new CD Bodacious Background Stamps CD index page. This link will take you to the Table of Contents page for the CD. The CD is available for order TODAY by using the dropdown below. The CD will be shipped in less than 2 weeks! I decided to create a little shabby and distress the edges of the DP and my DP butterfly using a touch of Antique Linen Distress Ink. The Coordinations was sanded (I learned that via Technique Junkies) to add to the distressed look. The butterfly was cut from the DP and I painted over the top of it using Fairy Dust Creative Inspirations Paint. 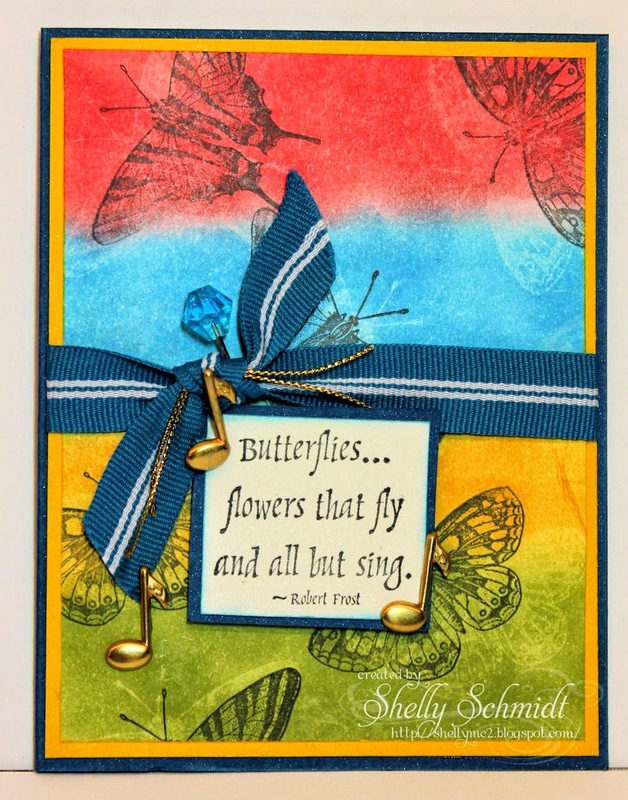 The butterfly is a 2 layer die- so the top is the same cardstock as the base. 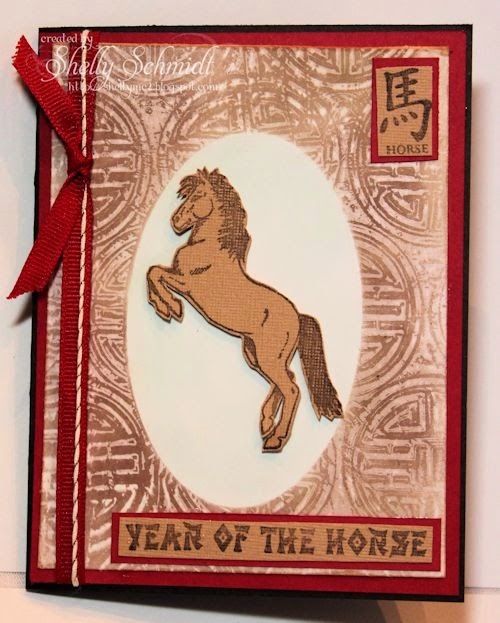 I joined in a Mingle in the Oriental Stamp Art Yahoo group recently for Different kinds of folds cards. 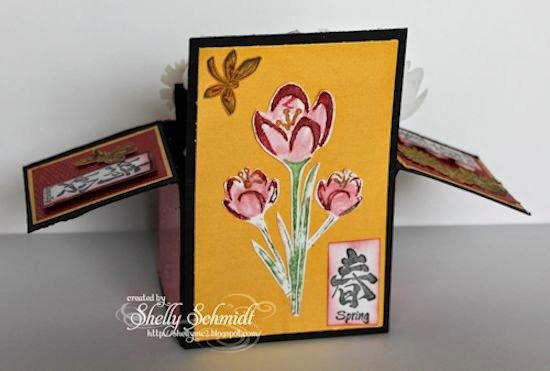 One of our Sponsors at Technique Junkies is About Art Accents- and I used a newly released stamp plate for Spring and made a Card in a Box. Can you see the lower part of the box- that is called Embossed Wax Paper resist. I used a number of Technique Junkies techniques on this card, including Embossed Wax Paper Resist, Salt and Pepper and Simple Sumi (dragonflies). I stamped the images and colored some using Copics, others (tulips) were watercolored. What is really neat with these cards, is that they fold down flat to put in an envelope to mail. 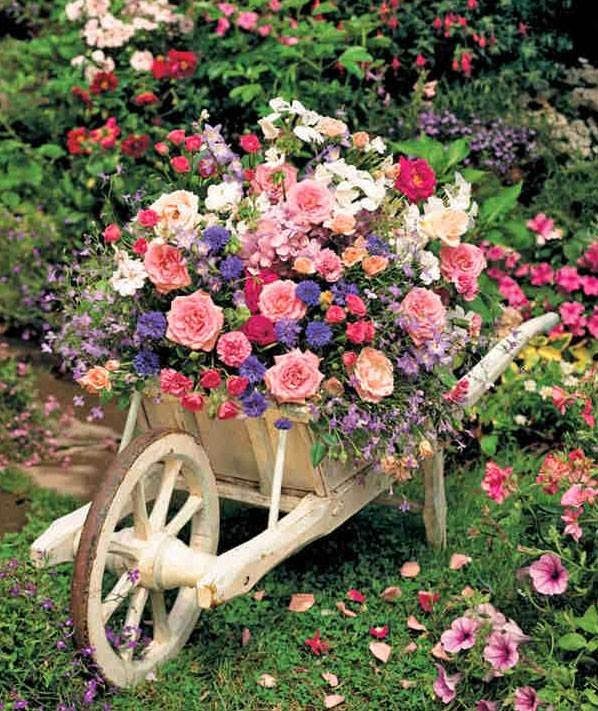 When traveling to China, regardless of the city, there is always open space reserved for parks, and they are beautifully manicured with fabulous flowers! 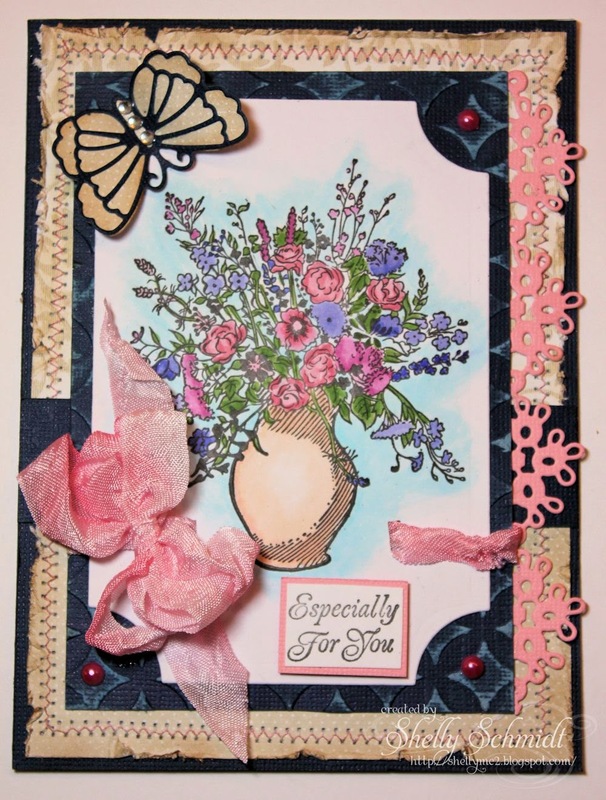 So, with that memory in mind, this card was a delight to create, even in light of all of the fussy cutting! 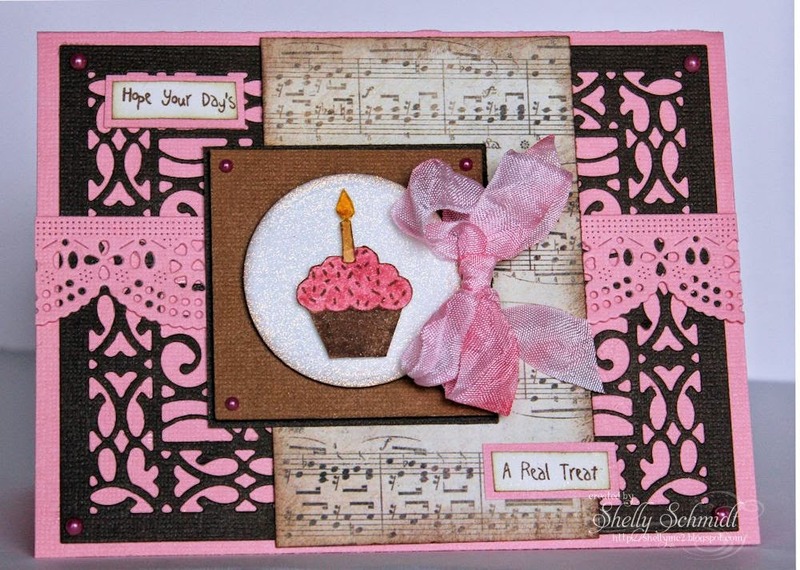 It's Tuesday, so time for our weekly challenge at Sweet Stamps . Our challenge theme for this week is Sweets . I used the Mojo Monday Sketch on this card. The cardstock is Coordinations, and the DP is My Mind's Eye. I love the Magnetic die plate- no more needing to use post it notes or double sided removable tape : ) , and that background die has been waiting patiently for months to be used! Next, I took Scor Tape, attached it to cardstock , then cut out the circle. I added Microfine Golden Glitz Glitter to the circle. The image is stamped in Brownie ink- I rubbed off the brown ink off the candletip and used Mustard Seed ink for the flame. I added Worn Lipstick for frosting, fussy cut out the image and then popped it up onto the circle. Today is my Baby's 21st birthday- on the 21st! Happy Birthday Stephi! Those who know me well know the joy in creating for me is trying new techniques : ) This is a new fun technique by Technique Junkies called Stencil Spray with a Twist. 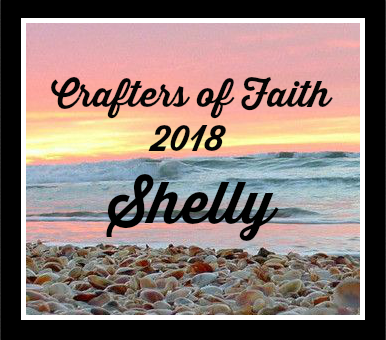 I had a blast- started with cutting a stencil for my background with an SVG from Bird's Cards- which she generously offers for free- love her beautiful files- on my new Silhouette Cameo! Then, I sprayed on Dylusions in some bright colors. 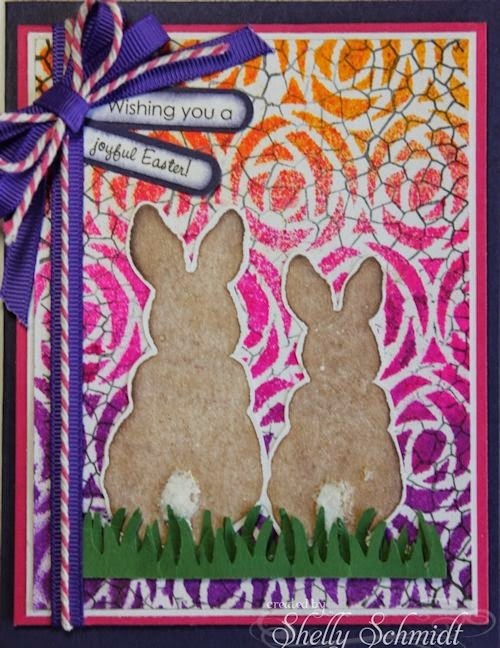 The bunny images are from Impression Obsession- I inked them up with two different colors of brown inks and texturized with the ink pads before stamping them. I cut them out leaving a tiny border of white. 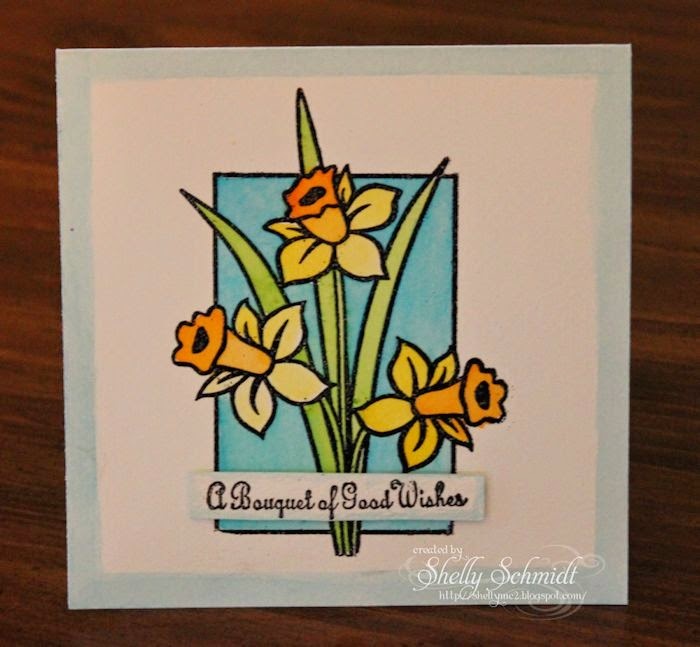 The sentiment is a digi from Sweet n Sassy stamps. 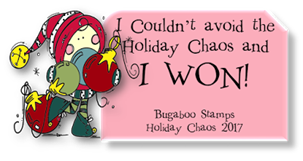 The background stamp is from Starving Artistamps (stamped in black- not sure if it is retired?). I needed to make cards for a swap today, so looked at challenges, so decided to play with a challenge from MFP and made Wax Paper Resist cards. This is plain old Wax Paper resist- so I had to try something fun- I cut an oval die out of the center of the Wax Paper and left that part white. When I cut the oval, I made a template with a plain white cardstock, so I could place it over the the oval when I added the color. All stamps are from Mark's Finest Papers.